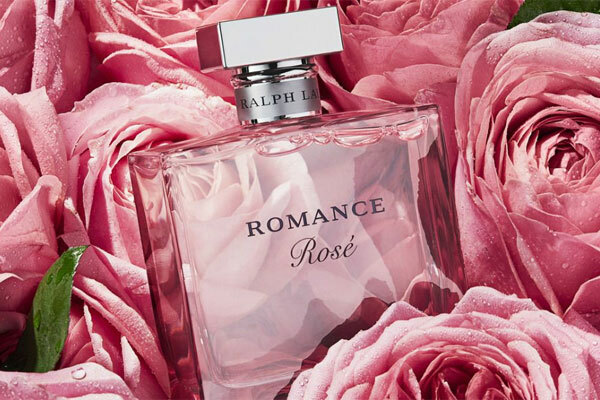 Romance Rose by Ralph Lauren - A lighter spring-time version of the original Ralph Lauren Romance fragrance. This fruity floral perfume includes the note of bergamot, black currant, juicy red apple and lychee blended with rose, jasmine, violet, patchouli, and musk. The new Eau de Parfum scent is housed in the original Romance perfume bottle with a rose fade featuring silver accents. Launched in March 2018, this new version is available in an eau de parfum spray from ULTA, Sephora, and Macy's. 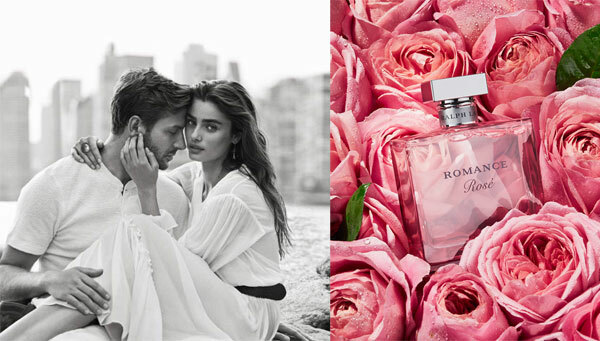 The fragrance campaign ads features model Taylor Hill photographed with long time boyfriend Michael Stephen Shank. Package Design Original Romance perfume bottle with rose fade and silver accents. "Bask in the sparkling effervescence of Romance Rosé. This elegant fragrance embodies the vibrancy of spring. This new interpretation of Romance opens with the sparkling luminosity of bergamot, blending with the juiciness of lychee, red apple, and black currant. "Top notes: lychee, red apple, bergamot essence, and black currant. Middle notes: Rose de Mai, jasmine grandiflorum, Sun Goddess Rose, and white violet. Base notes: skin musk, patchouli coeur, and benzoin."